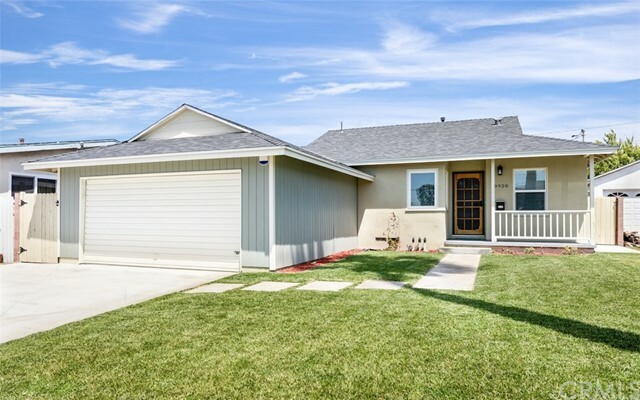 Are you looking for a remodeled single-family home in a great neighborhood? Spacious and close to great West Torrance schools, this one-story house is situated on a quiet, cul-de-sac street with an ample backyard and covered back patio. Perfect for entertaining, it boasts an open floor plan from the kitchen to the living area and family room that flows to a relaxing outdoor space. The updated kitchen features lots of storage with newer cabinets, sleek gray counters, a gorgeous tile backsplash, large farmhouse sink and stainless-steel appliances. With three bedrooms, a convenient laundry area and a large office that can be used as a fourth bedroom, this home offers plenty of functional closet and living space. Both the master en-suite bathroom and the hallway bathroom have been completely modernized with new fixtures, vanity and beautiful finishes. Newer laminate flooring throughout, dual pane vinyl windows, copper plumbing, newer roof and sewer line, and stamped concrete driveway are just a few added features - leaving you only to make this home your own. Located near all the conveniences that West Torrance and Redondo Beach have to offer and just minutes to the beach or the freeway, this home is ready for your family!